MARA PENCURI. MARA PEYAMUN. MARA PENYAGAK. PTUI! It follows earlier revelations of dirty money from Malaysia being laundered through Australian property purchases with few consequences for those facilitating the corruption. It’s a problem which the Australian government insists it is confronting, but despite two years of investigations by the Australian Federal Police and a promise to expose the scam from Malaysian Prime Minister, Najib Razak, nobody is facing prosecution in either country. In June 2012, a Malaysian government fund created to help the country’s rural poor asked Raine and Horne International to issue a valuation for the Melbourne building.But this was no ordinary request. Raine and Horne International’s Kuala Lumpur office valued the property at $43 million, despite the fact that the building’s seller, Australian businessman Lionel Harber, had simultaneously valued it at $23.5 million. Mr Farber considered that his sale price equated to fair market value, a view endorsed by an independent valuation. “That’s a joke,” a surprised Mr Harber told Fairfax Media this week when informed that within weeks of selling his Swanston Street building for $23.5 million to an agent connected to an offshore company, it had been resold to the Malaysian government’s anti-poverty fund, Mara, for $41.8 million. Raine and Horne’s advice was used to justify this resale. The leak in 2016 of the “Panama Papers” – millions of documents from Panamanian law firm Mossack Fonseca – is still being trawled through by journalists and police across the world to tie corrupt officials to secret offshore accounts. The leak helps to tell part of this story. Prior to the Swanston Street property purchase, Mossack Fonseca created two secretive front companies in the British Virgin Islands and the Isle of Man. These firms were used, in turn, to set up a Melbourne company. Next, these three companies were used to facilitate the “flipping” of the Swanston Street property for $41.8 million, despite its true market value. The transaction freed up $18.3 million which rightly belonged to Malaysian taxpayers and which was meant to be used to help the country’s development. Instead it was distributed among the conspirators. The Panama Papers and other leaked files reveal that corrupt Malaysian officials tied to the ruling Umno party of Prime Minister Najib Razak, including senior political figure Mohammad Lan Allani, are behind both the property scam and offshore companies. When the $41.8 million was paid to an offshore firm by the Malaysian government fund to secure ownership of the Melbourne building, Mr Allani was the fund’s chairman. It was Mr Allani’s staff who requested Raine and Horne’s inflated valuation. And, according to bank transfers recently analysed by anti-corruption investigators, Mr Allani’s personal bank account was paid $3.2 million in kickbacks shortly after the $41.8 million left Malaysian government coffers. When asked in 2015 about another corrupt deal, Mr Allani said he couldn’t recall them, and was only involved in setting up offshore companies in tax havens as a “convenient” way of selling property bought by the Malaysian government. When questioned about his knowledge of any alleged kickbacks, the former politician hung up the phone. Along with Mossack Fonseca’s lawyers, a small army of Australian middle men facilitated the corruption, which involves not only the Swanston Street property, but at least three other Australian buildings which the Malaysian government bought for around $75 million. 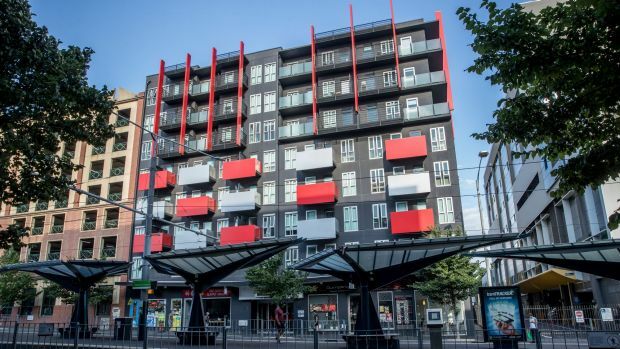 In 2015, Fairfax Media published an investigation into the $22 million purchase by Malaysia of another apartment building, Dudley House, in Melbourne’s leafy south. The price of this building was inflated by $4.75 million in a corrupt deal supported by Melbourne developers Chris Dimitriou and Peter Mills, a CBD accounting firm and a former Westpac banker. The same accounting firm, along with two Melbourne law firms, appear to have facilitated aspects of the Swanston Street purchase, assisting in the creation of offshore companies, providing legal advice or moving large amounts of money. Raine and Horne’s Australian headquarters said this week that its offshore arm pays a fee to use the firm’s name, but is run by Malaysian managers. Raine and Horne said these managers have insisted the $43 million valuation was appropriate. “Local investigations … concluded no impropriety was found under the terms of that investigation,” Raine and Horne Australia said in a statement. Fairfax Media has now traced at least $8 million in bribes and kickbacks funded by Melbourne property transactions to bank accounts controlled by corrupt Malaysian officials or their relatives or friends, but the figure is likely to be much higher. The corruption provides an example of the mostly unchecked exploitation of Australia’s property market, which the OECD recently partly attributed to the federal government’s failure to adequately crack down on money laundering and bribery facilitated by real estate agents and other facilitators of property sales. The revelations also raise further questions about Australia’s failure to hold to account companies which bribe foreign politicians and officials or engage in other misconduct. Since 2009, Fairfax Media has exposed the alleged bribery or questionable payments involving Australian companies and top officials in Malaysia, Nauru and China, along with the presidents of the Republic of Congo and Sri Lanka, and, two former Iraq oil ministers. 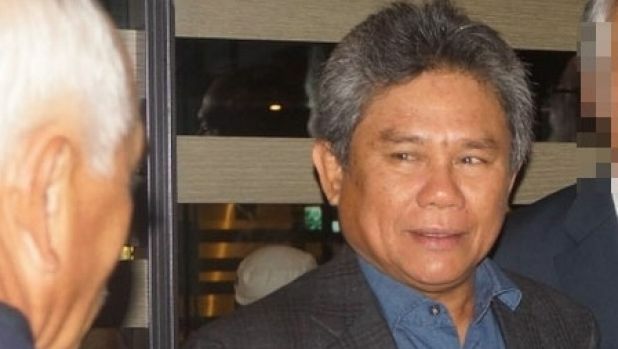 The AFP has significant intelligence implicating Malaysian Prime Minister Razak in corruption connected to an unrelated corruption probe that is subject to a Victorian court suppression order. The Panama Papers leaks have also exposed high wealth Australians in questionable dealings.But while these stories have sparked a flurry of police and regulatory action, very few individuals have been charged in Australia. Responding to concerns that white collar corruption and fraud is flourishing, the federal government in December introduced new laws aimed at making it easier for police to charge companies who bribe officials. It is also considering reforms to deal with the OECD’s concerns. By Hussein Abdul Hamid|2018-07-14T05:43:59+08:00January 27th, 2018|Categories: Uncategorized|Tags: Corruption, MARA|Comments Off on MARA PENCURI. MARA PEYAMUN. MARA PENYAGAK. PTUI!